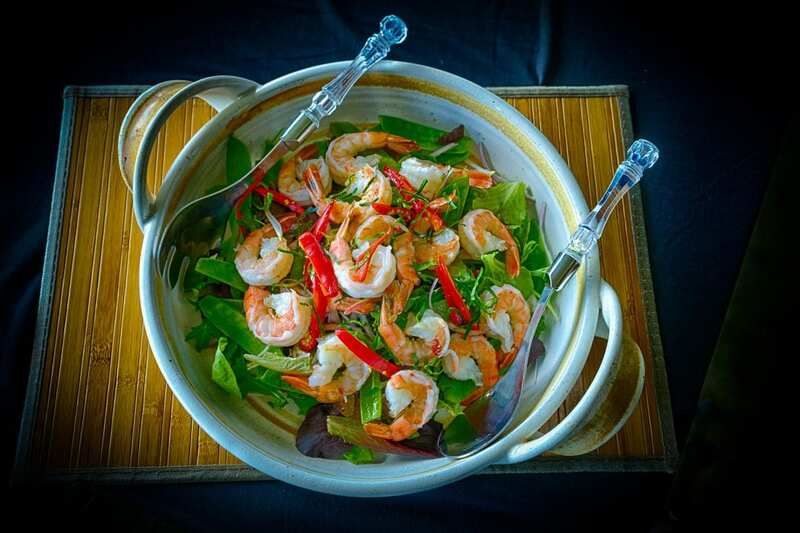 Delicately spiced Tiger Prawns highlight the fresh, crispy taste of vegetables in this light favourite. 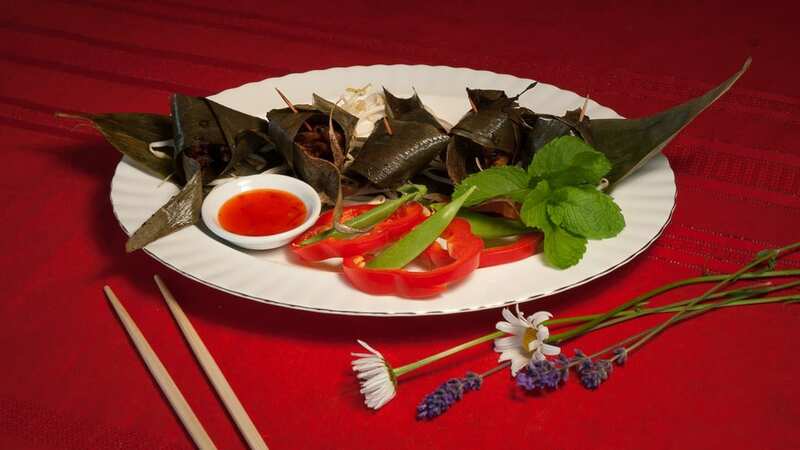 Chicken marinated in sesame oil and other spices is deep-fried in bamboo leaves. These unusual rolls, packed with shrimp, fresh mint and pork, come from the Mekong river region. Pork marinated in honey and soy sauce is gently simmered over a barbecue at low heat. A gentle, lightly-seasoned soup made for simple enjoyment and pleasure.